When an ordinary trailer tractor suffers from its limitations we can provide an alternative solution. 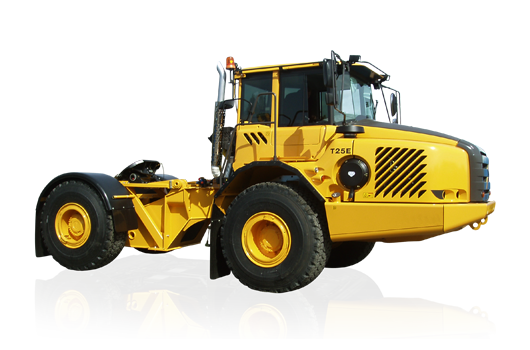 The Kiruna UV T25 offers grading capacity and off-road capabilities. When combined with a long lifecycle, the result is a unique vehicle that is cheaper and more versatile than any other solution. The T25, combined with a low lifting pallet trailer, provides a practical multi-purpose transport solution for plate manufacturers. 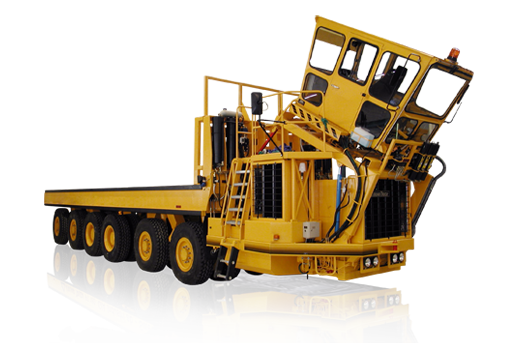 The Kiruna UV SLT35 is designed to be towed by a terminal tractor, or a similar vehicle, and used for the transport and handling of liquid slag in slag pots. The trailer is designed for running on even and hard roads. Articulated, elevating platform trailer for long, flat and heavy materials. The Kiruna UV PT180 is a load support based transporter with an elevating loading platform. A stable rear car enables the PT to work with simple, cost-saving load supports.